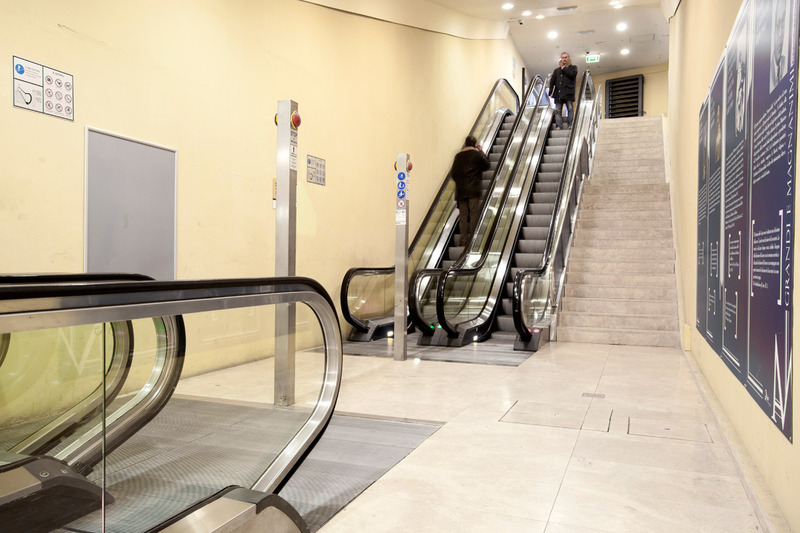 Escalator plant next to “Santa Caterina” car park. 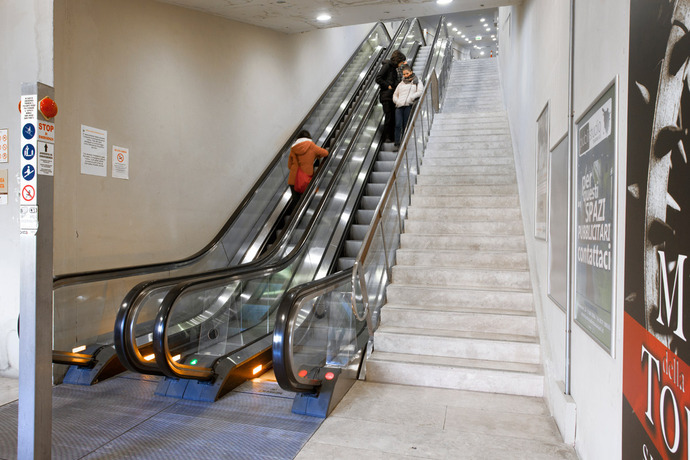 The “Fontebranda” escalator, opened in 2005, is composed of twelve escalator ramps able to carry 4500 people per hour. 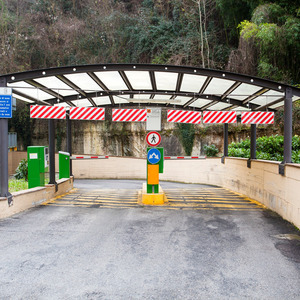 The downstream entrance is situated in “Via Esterna di Fontebranda” few meters away from the gate of the same name and nearby the spring, and about 150 meters from “Santa Caterina” car park. Little further from here is situated the “Fagiolone” parking area, reserved to the touristic couches. The upstream exit is in “Via di Valle Piatta”, about 150 meters from the city Cathedral. Direct link to: “Duomo”, “Santa Maria della Scala” museum complex, “San Domenico” Church, “Santa Caterina” Sanctuary, City Centre.